Me and my hair have a strange relationship consisting of me not looking after it like it deserves and therefore my hair punishing me for it. 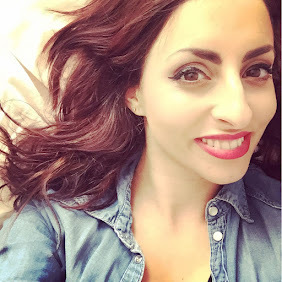 My hair has changed so much since having children, its frizzy and not easy to manage so I really need to start looking after it and putting some love back into it so when I was sent the Organic Shop haircare range I thought my hair would again love me. 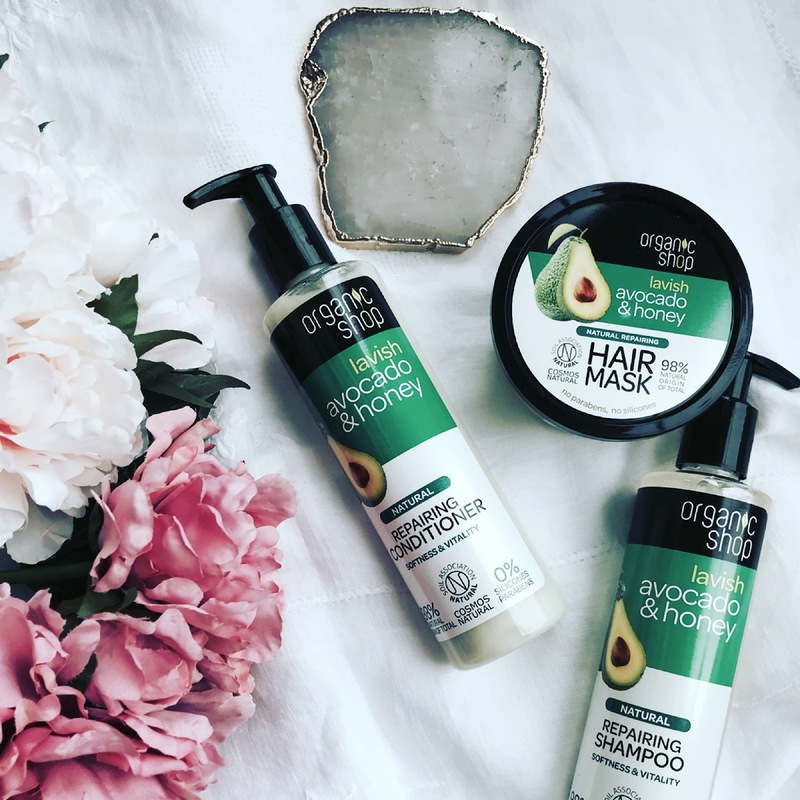 Organic shop is a range available at Tesco, they have various different products for different hair types, I chose the Avocado and Honey range for frizzy hair which is meant to help beat the frizz and restore shine. The range is affordable with the shampoo costing £2.50 for a 280ml bottle. The range boasts its vitamin packed product being "liquid gold" containing various oils and fruit extracts and no parabens. The Lavish Avocado & Honey Repairing Shampoo was the first product I tested, I have to be honest I wasn't impressed though I really wanted to be! I felt I needed a lot of product to even begin to feel like it was cleaning my hair, the consistency wasn't creamy and I found it didn't smell of anything inparticular which was a shame as I love the idea of avocado and honey mixed together. I then went onto trying the conditioner which I got on with a bit better, it was a bit creamier and felt silky on my hair. The Lavish Avoado & Honey Repairing Shampoo also have a hair mask as part of the range, this intrigued me as I have never used a hair mask due to no time- mummy problems ey! The hair mask smelt stronger then the shampoo and conditioner and was thick and creamy which was fabulous to apply to the hair. I left the mask on for 5 minutes, its says 2-3 minutes but I didn't feel that was enough for my hair. The product washed off with ease and left my hair feeling silky and like it had the boost it needed but unfortunately it didn't have a last long effect so hopefully with continued use my hair will get less frizzy and feel loved. Overall I don't think I will be repurchasing anything from this range, I do love the pumps on the shampoo and conditioner and hope other brands go down the same route. The mask was my favourite product out of all three but again it didn't wow me like I would have wanted it to. Have you tired this range before?